A small amount of metered on street parking is available to the rear of the practice in Wellesley Court Road (postcode CR0 1LE). In addition, there are a number of multi storey car parks within 5 minutes walk including Ruskin Square, NCP Whitgift & NCP Croydon Central. From Wimbledon: get off at Wellesley Road, turn right and follow the tram lines in the same direction that the trams travel. 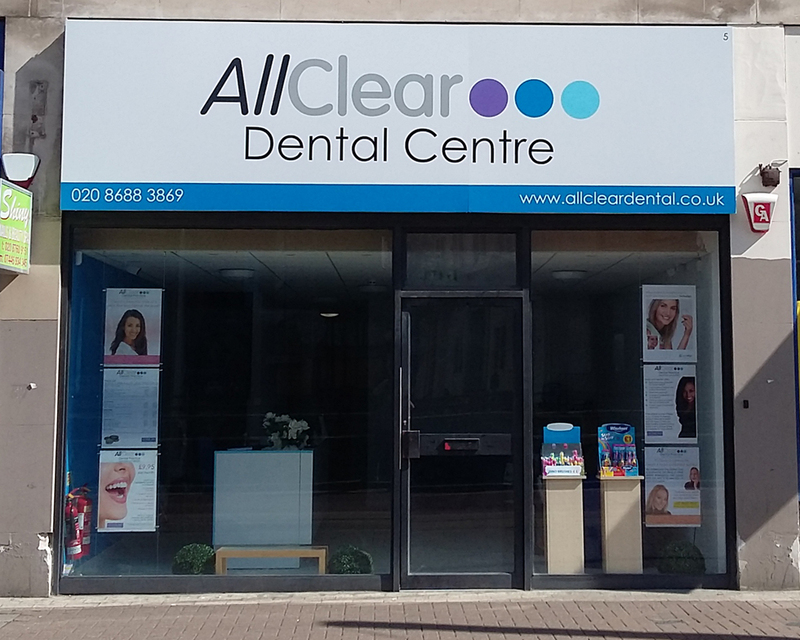 AllClear is the fifth shop on the left. From New Addington, Beckenham Junction or Elmers End: get off at East Croydon. Walk towards central Croydon, following the tram lines and turn right into Wellesley Road. Walk past Norfolk House/Travelodge reception and AllClear is the fourth shop on the right. Get off at Whitgift Centre. If on the opposite side of the road to the centre, Walk towards Wellelsey Road tram, then follow the tram lines in the same direction that the trams travel and AllClear is the fifth shop on the left. If on the same side of the road as the centre, cross the road.using the subway and then proceed as above. From East Croydon: Leave the station, turn right and walk towards central Croydon, following the tram lines and turn right into Wellesley Road where the tram lines diverge. Walk past Norfolk House/Travelodge reception and AllClear is the fourth shop on the right. From West Croydon: leave the station via the main entrance and take any tram to Wellesley Road (one stop). Alternatively, leave the station and turn left into London Road. Cross the road by Maplin and then turn left into Poplar Walk. Walk to the junction and turn right into Wellesley Road. Walk along Wellelsey Road and cross to the other side via the pedestrian crossing. Walk past Wellesley Road tram stop, then follow the tram lines in the same direction that the trams travel and AllClear is the fifth shop on the left.